MOSCOW, February 5. /TASS/. Russia’s Investigative Committee has put on a wanted list former CEO of Otkritie Bank Evgeny Dankevich on suspicion of embezzling 34 billion rubles ($518.5 mln), IC’s Deputy Chairman Igor Krasnov said. 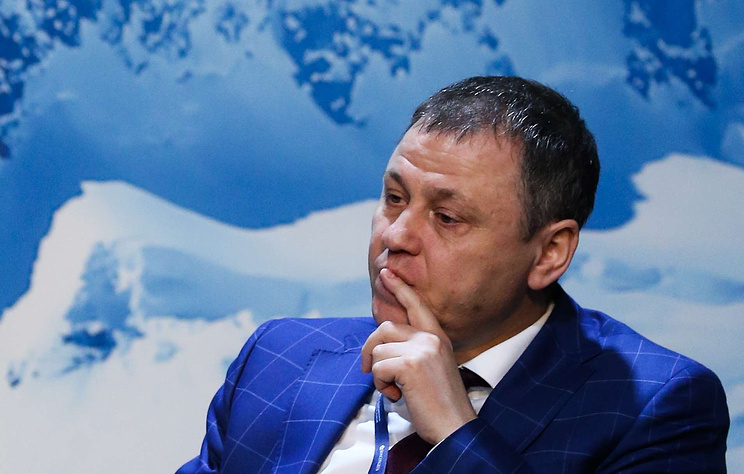 "Dankevich has been put on a wanted list over embezzling 34 bln rubles, and together with the Federal Security Service we are carrying out an investigation aimed at finding his accomplices," Krasnov said in an interview with Kommersant business daily. The investigators found out that in summer 2017 Dankevich entered into a criminal conspiracy with the heads of two companies, who were the bank’s debtors. They listed 40 mln bonds at the Moscow Exchange with the nominal value of 1,000 rubles. According to investigators, while knowing that the real price of the bonds was less than their nominal value, Dankevich ordered to purchase them at their full price. After obtaining more than 34 bln rubles, the company, 01 Group, paid off its debt before the bank, Krasnov explained. Russia’s largest private bank Otkritie was subjected to the central bank’s bailout procedure in August 2017.